Our mission is to enable our clients to use the best technologies to meet their biomass potential using torrefaction. We aim to be the linking pin between investment, development and implementation of best in class technologies for our customers. 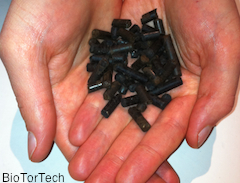 BTT is focussed initially on converting bio-feedstock wastes and wood byproduct businesses in Europe, South America and Asia Pacific by producing the second generation fuel pellets, by applying torrefaction energy densification technologies. BTT is also examining opportunities to establish a portfolio of renewable energy and technology investments that spread risk and offer attractive economic returns. BTT believes that while fossil fuels and carbon costs will increase in the long- term, any renewable energy business, but especially torrefied pellets needs to be robust and competitive over the medium-term to survive in volatile energy markets.